A Chinese private enterprise has successfully purified the rare metal rhenium to manufacture the single crystal blade, which is crucial for the production of aircraft engines, CCTV.com reported on September 3. The rare metal was purified after a year and a half effort by Chengdu Aerospace Superalloy Technology Co. Ltd. in cooperation with the Hunan Research Institute for Nonferrous Metals. The company discovered a mine with about 176 tons of rhenium in Shaanxi province in 2010, accounting for 7 percent of the world’s total reserves of the metal. A report released by the U.S. Geological Survey shows that the explored reserve of rhenium in the earth’s crust is only about 2,500 tons, even less than that of rare elements. The price for each gram is 200 to 300 RMB (about $31 to 46), which makes it as expensive as platinum. The metal is the main material for producing the single crystal blade, which is crucial for manufacturing aircraft engines, and the technology directly affects the performance of the engine. Zhang Zheng, chairman of the company, put together a professional team through the country’s talent recruitment program. Verified results show that the single crystal blade met Europe and U.S quality standards in terms of tensile properties and endurance performance at high temperatures. The success makes the company China’s first to achieve mass production of the single crystal blade for manufacturing aircraft engines. 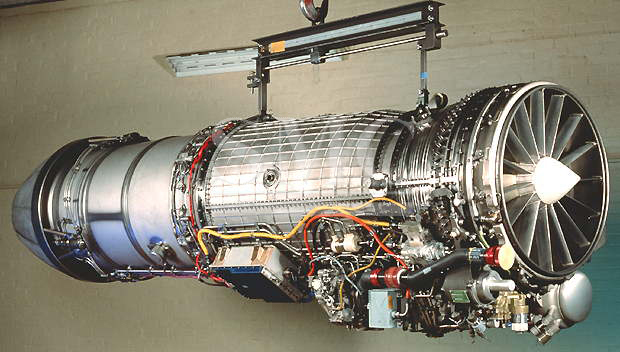 Aircraft engines, as one of the most complicated mechanical systems, should be able to work under high temperatures, high pressures, high rotation speeds, and high load; and be high power, light weight, long lasting, and highly reliable. China has been faced with a hurdle of self-developing aircraft engines, because the U.S. and some Western countries have blocked certain exports such as rhenium to China for many years.